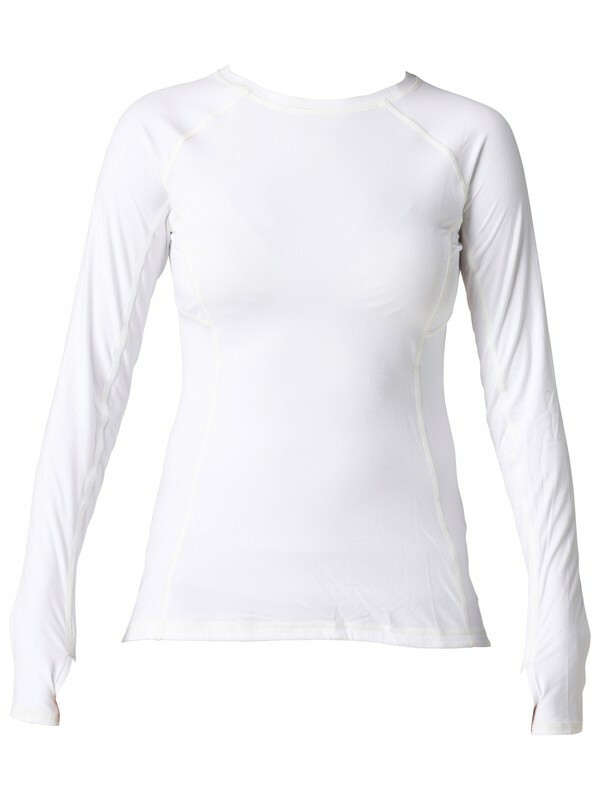 Smooth and lightweight with body contouringlines, this performance longsleeve stretches with you as you reach and move. 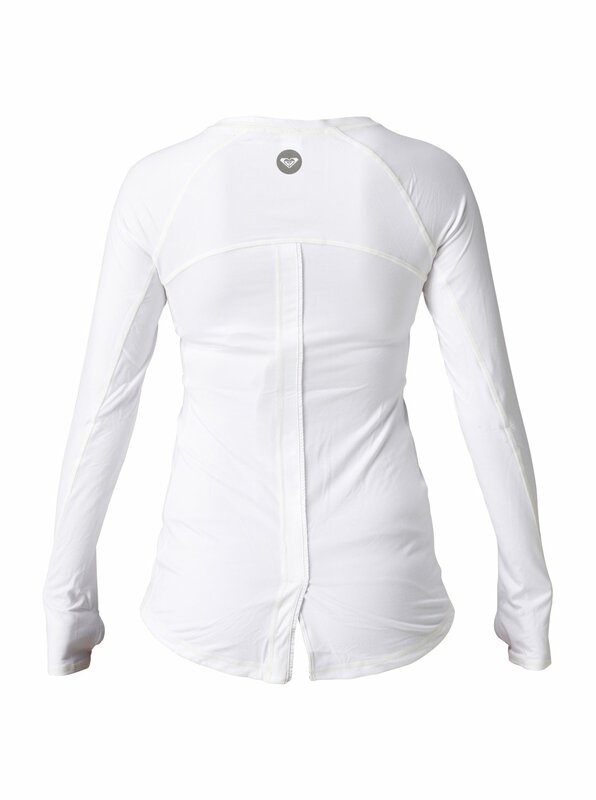 The fabric is light and super wicking—it keeps the sweat off your skin and dries quickly after heart-pumping workouts. Small slices out of the back hem ensure the shirt drapes nicely over the hips and won’t ride up during repetitive motion, and a subtle ruffle detail along the back seaming delivers a final feminine flourish. 88% Polyester 12% Spandex Jersey Moisture wicking fabric. Ruffle trim at center back. Overlapping thumbholes. Flatlock seams. Reflective Roxy logo. Dropped back hem. 26” back length. Imported.